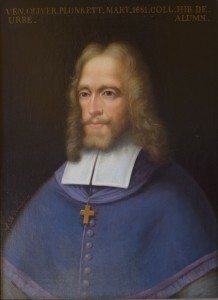 Oliver Plunkett’s birthplace includes garden. I just finished reading a biography of Oliver Plunkett, an Archbishop in Ireland who died in 1681 as a martyr for his Catholic faith. The witnesses also claimed that Plunkett wanted England under the control of the Pope. Plunkett never received a chance to bring his own witnesses to the trial. The case has over the centuries been studied as an example of the poorest of judicial practice. Plunkett’s life amounted to a witness for his faith, amidst the harshest of hatred and bigotry. It is the story of a courageous man who only tried to heal and bring people together in the name of faith. While in Ireland recently, I visited the early home and church of Plunkett in Loughcrew in county Meath, one hour from Dublin. There I found a beautiful garden, built in the nineteenth century. 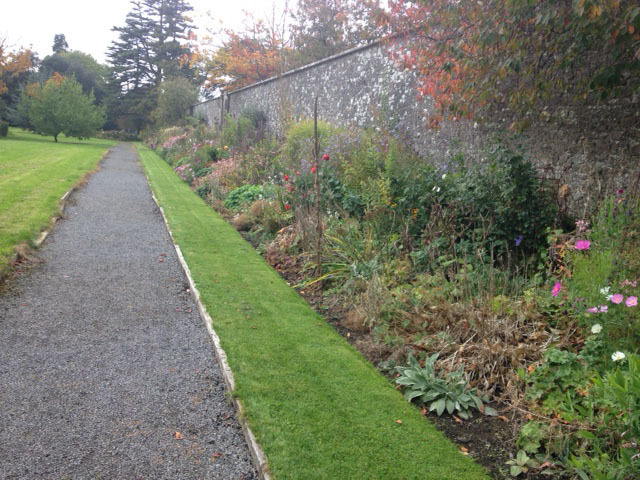 This border represents the garden fashion in the late nineteenth century encouraged by Irish garden writer William Robinson (1838-1935). He proposed perennials rather than the traditional annuals for flowerbeds. What was amazing as I walked the property at Loughcrew that day was the thought that from this spot came a giant in Irish history, the man of faith known today as St. Oliver Plunkett.